Wuqing Development Area enjoys unique geographical advantage and has been called “Corridor of Beijing and Tianjin”. 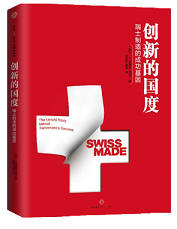 This strategic position enables successful business operations for Swiss enterprises. Wuqing shares the border with Great Beijing Area. It is between Beijng and Tianjin, adjacent to Beijing at north and to Hebei Province at west and northeast. Located on East Development Belt of the greater Beijing urban space development strategic planning “Two Axis and Two Belts”, and together with Tianjin Binhai New Area on Tianjin-Binhai Integrated Development Axle, Wuqing has great potential for development. Wuqing possesses convenient and fast modern transport system. Within the district there are 5 expressways: Beijing-Tianjin-Tanggu, Beijing-Tianjin, Beijing-Shanghai, Tianjin-Baoding and Tianjin-Ji County; 12 expressway entrances and exits; Beijing-Tianjin Intercity Railway and one intermediate stop from which you can arrive in Beijing in 19 minutes and Tianjin in 10 minutes; Beijing-Shanhaiguan Railway, Beijing-Kowloon Railway and Tianjin-Ji County Railway, and 7 passenger and freight stations. In recent years, based on state-level expressways and railways, Wuqing has realized the “nine vertical and nine horizontal roads” network construction with density of roads up to 135 km/100 km2. Within 15 minutes of drive in any village or street, you can find expressway entrance and arrive in Beijing or Tianjin in half an hour. Wuqing Development Area is a mainly manufacturing-driven area characterized by labor-intensive industries. There is abundant migrant workforce coming from neighboring provinces, much cheaper than local labor force.